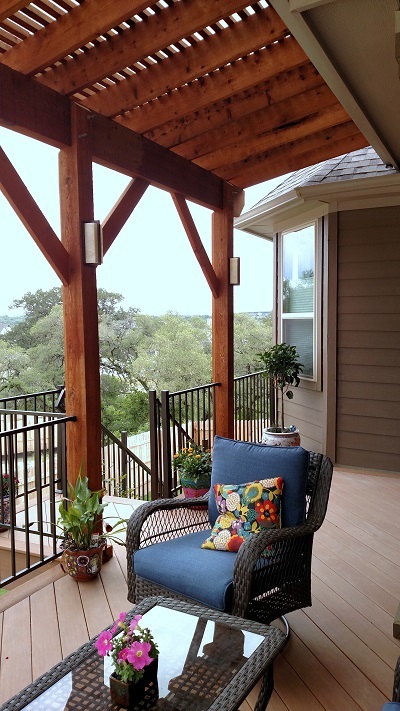 Archadeck of Austin Converts SW Austin Covered Porch into Beautiful Low-Maintenance Covered Deck! 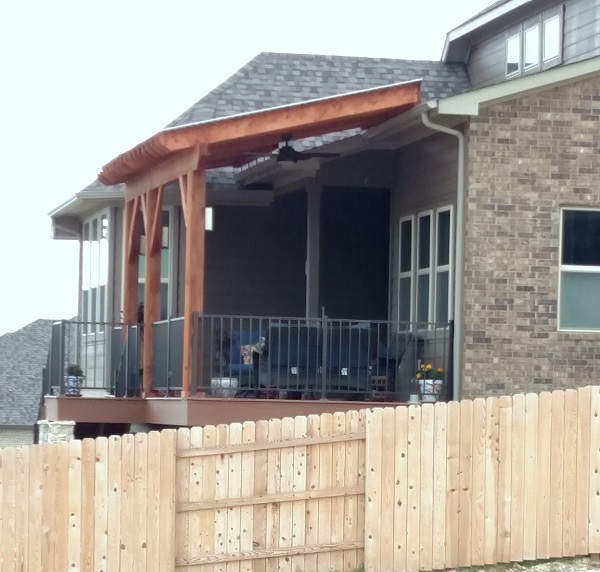 Here’s a sweet project in Southwest Austin, TX, that looks fairly typical until you see what went into it, proving that Archadeck of Austin will get creative to provide the outdoor living project you desire. What you see in these photos is a beautiful, low-maintenance deck where a covered porch existed previously. The deck is made with AZEK decking in the mahogany color with a Fortress iron railing in hammered bronze. Overhead is a sloped pergola made of wood. A sloped pergola? That is unusual. If you look closely, you may be able to see that the pergola is covered with a Polygal cover. While pergolas do provide some shade, the Polygal cover provides protection from rain and the sun’s UV rays. Polygal provides thermal insulation, so not only do you avoid getting sunburned by UV rays, you also don’t feel as much of the sun’s heat. We love working with Polygal because it’s lightweight, highly flexible and virtually unbreakable. It holds up in extremely windy conditions. Its UV protective layer not only protects you, it protects the Polygal itself from yellowing. We use Polygal covers frequently because of the protections they provide, but that doesn’t explain the pergola’s unique slope on this particular project. Because of the offset of this home’s lower and upper soffit, we actually turned the covered pergola into a shed roof. You won’t see this configuration just anywhere. Now, let’s go back to the deck for a moment. Yes, it’s an AZEK deck over a concrete floor. Before laying the decking boards, we installed a sleeper floor over the concrete. This subfloor helps to insulate the deck floor from the cold concrete beneath it. The sleeper floor also enabled us to extend the deck out from the house further than reach of the original porch floor. 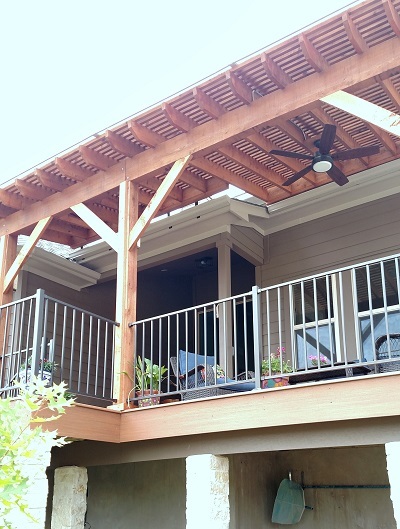 Once we added sconce lights and a ceiling fan, this sweet Southwest Austin covered deck project was complete. The homeowners are enjoying their comfortable new space already. 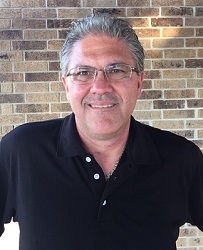 If your new deck, screened porch or patio is going to present a design challenge, contact Archadeck of Austin. We are up to the challenge. Call (512) 259-8282 or via email at [email protected] to schedule a free design consultation.